Getting set up to launch your first livestream or podcast can be a complicated process. Will you do face cam? Will you be streaming one game? Will your podcast have guests? For many newbies, broadcasting yourself to the internet requires gear and the most important piece of kit in your arsenal for obtaining internet glory is your microphone. While video is incredibly popular, more often than not it’s the audio that keeps people around because nothing is worse than terrible audio. The Volkano Stream Series Pro USB Microphone is suited for podcasters and streamers or even just a company looking to get a microphone for conference calls. That’s because the Volkano Stream Series Pro USB Microphone is able to switch between a single-direction cardioid microphone and an omnidirectional with the flick of a dial. For streamers the cardioid functionality means that you spend less time trying to get your keyboard to be silent and more time with your viewers. A universal mounting screw also allows you to mount the mic on an anti-shock arm so that you banging the desk doesn’t reverberate through the stream and kill the ear drums of your viewers. For podcasters the omnidirectional microphone allows you to place the mic in the centre of a desk, for example, and capture the voices of everybody who is speaking. The maximum 128dB impedance of the Volkano means that it will capture your voice whether you’re whispering or shouting. There is also a 3.5mm jack so that you can monitor your voice before it hits the stream with zero latency. 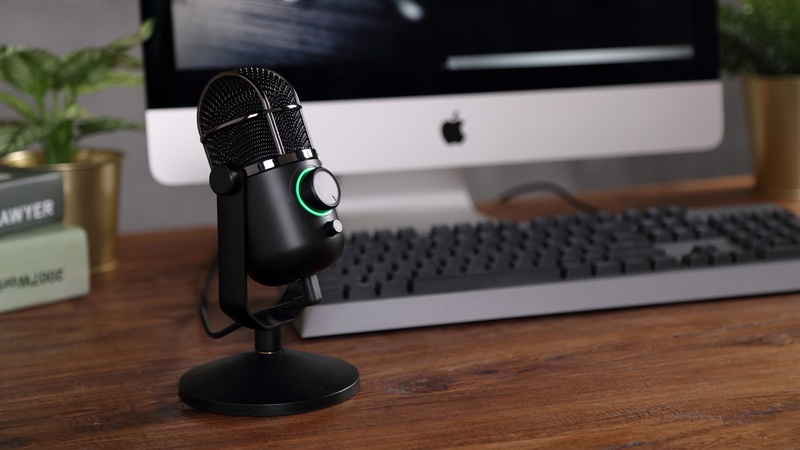 The Volkano Stream Series Pro USB Microphone connects to a PC running Windows or macOS with a USB cable, also working with most video modern game consoles if that happens to be your platform of choice. There are no drivers to install or funny connections to account for, simply take the microphone out of the box, plug it into your PC and start recording. For more information about the Volkano Stream Series Pro USB Microphone, or to get your own, click here.